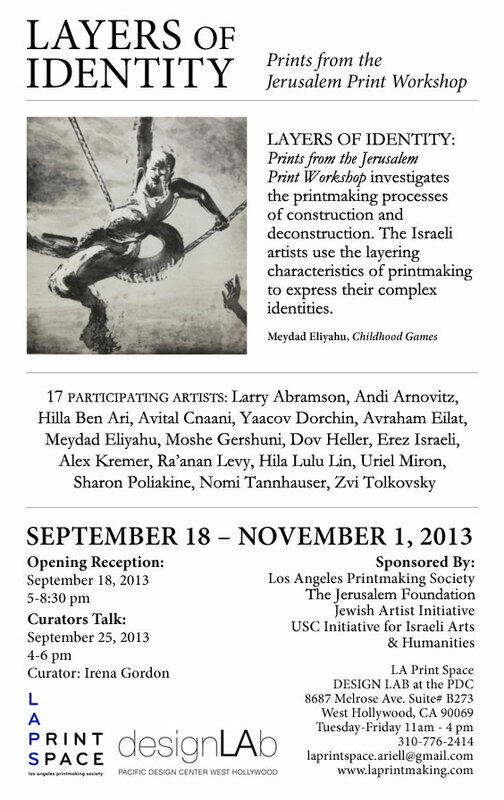 Along with the Los Angeles Printmaking Society, the JAI: Jewish Artists Initiative of Southern California, and with the cooperation of the Jerusalem Foundation, will be co-sponsoring an Israeli exchange exhibition entitled 'Layers of Identity: Prints from the Jerusalem Print Workshop'. 'LA Print Space' at the Pacific Design Center, 8687 Melrose Ave. Suite # B273, West Hollywood, CA 90069. Opening Reception on Wednesday, September 18th from 5 to 8:30. 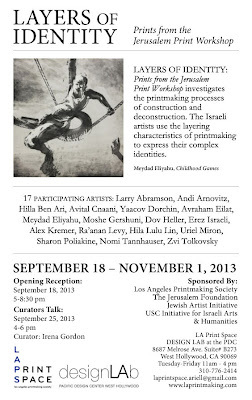 Curators talk on Wednesday, September 25th by Irena Gordon.